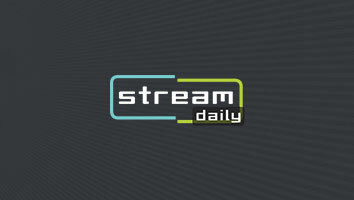 StreamDaily » Archive » What’s up with Vine? With creators and brands leaving the platform, industry pros try to pinpoint what's going on - and how parent co Twitter can turn things around. Jose Melendez plans on being famous one day. In fact, the 24-year-old is so sure of his potential as a bright star in the digital universe, he goes by the online handle JoseIsGonnaBeFamous. It’s with that goal in mind that Melendez, who creates vlogs on the topics of fashion, music, sports and lifestyle, has been plugging away for the past couple of years, building up a modest following across social video platforms. With one key exception: Vine. “I deleted the app about two years ago,” Melendez told StreamDaily at the recent VidCon event in Anaheim where he was attending as a creator. 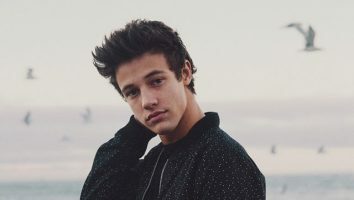 For someone so focused on building a following, it seems counter-productive to abandon any platform — especially one that has launched the now-lucrative careers of actor Nash Grier, sketch comic Logan Paul, singer Shawn Mendes and comedy vloggers Amanda Cerny and Lele Pons. But between what he said are poor discoverability features, an inconvenient interface and an in-app editor that feels too limiting, Melendez said Vine, ultimately, isn’t worth his time. “You can put the same amount of effort into something like Instagram or Snapchat and be way happier with what you get,” he said. Melendez isn’t the only one who feels this way. These days, it seems many creators are tuning out of the Twitter-owned platform. Nash Grier, for instance, who used to post several Vines per week, has only posted seven in the last eight months. Meanwhile, Logan Paul has only posted six in the same time, with his last post dating back more than two months. Indeed, a recent study from analytics firm Markerly found that of the top 1,000 most-popular Viners, more than 50% either have not posted or have posted very little in the past year. And, according to the iTunes App Store data, downloads for the app have also slowed. In 2015 and 2014, Vine was among the top five most popular app downloads. Now, the app only falls within the top 200. Some might characterize all that as a mere blip in the platform’s once-mighty appeal — after all, reigning Viners like King Bach and Thomas Sanders still post content on a near-daily basis. But Tim Staples, CEO of branded content prodco Shareability, is less optimistic on Vine’s future. “The word on the street isn’t ‘Vine is dying.’ The word on the street is ‘Vine is dead.’ I hear it from influencers all the time,” he said. There are varying opinions on where (and, to be fair, if) Vine went wrong, but as StreamDaily tapped various industry insiders and analysts, most agreed Vine’s grasp on users in the fast-changing digital video industry has slipped, and it will take work for the company to regain its hold. It starts with the user experience, said Juan Pablo Morales Sarmiento. The digital media analyst and CEO of Nuevos Media and Transmedia Talks said Twitter’s management of the platform may have been part of what’s left Vine behind. “Since Facebook launched its Facebook Live service, and Snapchat began to grow consistently, Twitter has had a confusing strategy with Vine,” said Morales Sarmiento in an email. He added that between Twitter’s native video service, its Periscope live streamer and Vine, the Twitter video landscape seems too confusing, since the three don’t easily integrate into one another, despite being owned by the same central platform. “Swimming in these confusing waters, users and publishers landed organically on those friendlier and safe video territories,” he said. Staples, meanwhile, believes monetization problems are at the crux of Vine’s problems. For starters, Vine doesn’t allow banner or pre-roll ads, meaning its creators can’t make money directly from Vine as they do from a platform like YouTube. “Because there’s no advertising, Vine never gave influencers as much of a platform to monetize as YouTube did,” said Staples, noting many Viners already create longer-form YouTube content to bring in more cash through the Google platform’s 55/45 rev-share deal. On other platforms like Snapchat or Instagram, the issue of banner ads hasn’t proven to be so much of an issue. Creators like Amanda Cerny and Lele Pons, for instance, have both carved careers through sponsored-content deals on those platforms. But, according to those same creators, brands haven’t been as willing to invest in influencer-led marketing on Vine — especially lately. 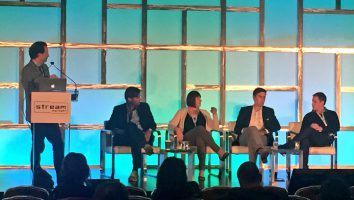 At the recent Stream Market conference in Santa Monica, Cerny, who spoke alongside Pons and Staples on a branded-content panel, said that when brands sensed Vine was no longer the “it” platform, they stopped offering influencers deals centered on the platform. “Brands are always watching, they’re seeing what’s going on. 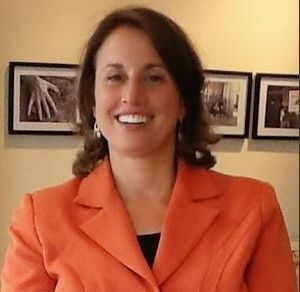 When they see everyone on a certain platform, they see, ‘Okay, this is where everyone is going,'” Cerny said on stage, adding that she and Pons used to be inundated with Vine deals (Cerny boasts 4.9 million Vine followers, while Pons is one of the platform’s most-popular users at 11.3 million). Now those have dried up in favor of Instagram and Snapchat (Cerny and Pons boast 6.3 million and 7.4 million Instagram followers, respectively, while Snapchat does not make follow counts available). “It takes a lot of talent to create a funny, meaningful message in six seconds or less. So many of these creators are truly brilliant. But that is inherently self-limiting — trying to create a valuable message and then integrate a brand, too,” he said. That brevity of message has proven tricky for brands, too, many of which have grown comfortable with the 30-second video format. “When we do branded content on a platform like YouTube or Facebook, we actually end up doing stuff that’s two to four minutes. Brands are always going to want more and not less,” said Staples. The bite-sized video length also dogs creators who fall outside of certain niche genres, notably those chatty vloggers or those who invest in more dramatic projects. Echoing comments by Jose Melendez, Kline also cited editing issues associated with Vine as an ongoing issue for creators. “Even though it’s only six seconds of video, it takes a really long time to create a meaningful, thoughtful Vine. It kind of breaks the moment. You can’t just post something spontaneously – not if you want it to be a top-quality Vine,” he said. That’s a far cry from the minimalist approach of the likes of Snapchat, which allows creators to simply shoot and post, with no options to cut or edit in-app. “They don’t have to put as much time into (Snapchat), and why would you want to put all your time into something that doesn’t have a lot of return?” said Kline. So, if it’s true that audiences are dissatisfied and creators are looking elsewhere, where does that leave Vine? “I think once the momentum has swung and is working against you, I think it’s really, really hard to bring it back,” said Staples. Pictured: Lele Pons, Logan Paul and Nash Grier, who have all slowed down on their Vine usage in the last year. 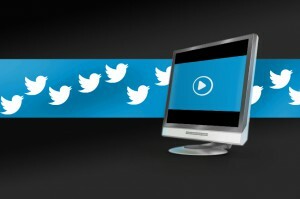 Could Twitter leverage internet-TV chatter?